The open source parallel multiphysics finite element library FEMPAR and its application to HTS, by Prof. Santiago Badia. HPC for solving multi-physics problems, by Dr. Xavier Sáez. Lecturer: Prof. Santiago Badia, Universitat Politècnica de Catalunya – BarcelonaTech (UPC). In this talk I will provide an overview of an advanced scientific computing library, FEMPAR, which was developed from inception for being able to exploit supercomputers and ease the implementation of multiphysics solvers. I will introduce the main showstoppers in scientific computing for the large scale implementation of complex phenomena, e.g., the CAD/CAE interaction and the efficient solution of (non)linear systems of equations in parallel. For every one of these problems, I will discuss our approach to improve the current situation. It will involve the introduction of embedded methods based on unfitted finite element spaces, the use of octree background meshes, or the design of scalable multilevel domain decomposition algorithms. In the second part of the presentation, I will discuss applications of the library to some of the problems we are considering now, e.g., nuclear waste deep repository simulations, breeding blankets in fusion reactors, etc. I will put special emphasis on the simulation of high temperature superconductors. This problem is very challenging since it involves curl-conforming (i.e., edge) finite elements, a very stiff nonlinearity, and the potential interest to couple different phenomena (thermal, electromagnetic, and solid mechanics problems). The development of highly scalable solvers for HTS is certainly complicated, and I will provide our experience in the field and our current approach. Santiago Badia is Full Professor of Computational Science and Engineering at UPC and leader of the “Large Scale Scientific Computing” Department at CIMNE. Since 2006, he has published 60 articles, 5 book chapters, and a monograph. He has been semi-plenary lecturer at the WCCM, and plenary lecturer at Coupled'15, HPCSE 2015, and YIC17. Prof. Badia has received the 2006 SEMNI and ECCOMAS awards for the best national and European thesis in computational mechanics, Outstanding PhD award at UPC 2005-2006, 2010 Juan Carlos Simo young researcher award in computational mechanics, 2012 Young Investigator Award in Applied Mathematics from the Spanish Society of Applied Mathematics, the 2016 Young Investigator award “Agustín de Betancourt” from the Royal Academy of Engineering of Spain, and Ramon y Cajal, Marie Curie, and UT Austin JT Oden fellowships. He obtained one Starting Grant and two Proof of Concept Grants from the European Research Council. His research focuses on the development, mathematical analysis, and application of numerical methods in engineering and sciences, and high performance scientific computing. 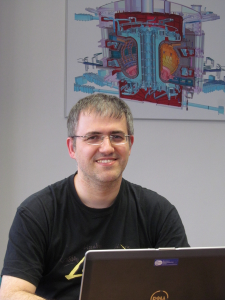 He actively works on advanced discretization techniques, mainly finite elements, for the numerical approximation of complex multiphysics phenomena governed by partial differential equations, e.g., additive manufacturing and fusion reactor simulations. His research is also focused on massively parallel and optimal linear solvers for the (non)linear systems resulting from discretization. He is a main developer of FEMPAR, his team’s in-house code, a massively parallel finite element software distributed as free software that has been positioned as world’s most scalable domain decomposition solver, and has efficiently run at the whole JUQUEEN supercomputer (the largest supercomputer in Europe) on 458,672 processors. FEMPAR is now on the High-Q club of the most scalable European scientific computing codes. Lecturer: Dr. Xavier Sáez, Barcelona Supercomputing Center (BSC). The use of computational models is widespread in the engineering designs and manufacturing processes. A multi-physics approach is often required to capture all relevant phenomena to model and simulate complex systems such as safe cars and energy-efficient aircraft. High-Performance Computing (HPC) plays an essential role in such multi-physics simulations due to the high computing resources required. Alya is a multi-physics simulation code developed at Barcelona Supercomputing Center (BSC). From its inception, Alya has been designed to solve coupled problems with HPC efficiently and with the flexibility to add new physics models. Its target domain is engineering, with complex geometries, unstructured meshes and coupled multi-physics. This talk will present selected multi-physics examples solved by Alya that are representative of the engineering world and require the computing power of a supercomputer, such as a flow for wind energy generation, a low Mach combustion problem, and a coupled electro-mechanical contraction of the heart. 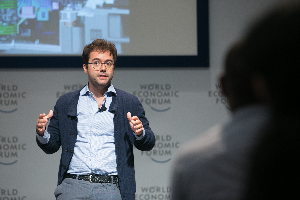 Xavier Sáez holds a degree in Computer Engineering and PhD in Technology, both from Polytechnic University of Catalonia (UPC). His PhD thesis was based on porting particle-in-cell algorithms for plasma simulations on heterogeneous architectures. Since 2006 Xavier is working at the Computer Applications in Science & Engineering department (CASE) of Barcelona Supercomputing Center (BSC), where he performs his research in the analysis and optimization of scientific applications to exploit High-Performance Computing (HPC) resources. Some of the projects where he has been involved are: the development of mathematical ESSL library (IBM) for PowerPC970 processors, the improvement of the communication scheduling of the ELSA code (AIRBUS), the porting of EUTERPE (Max-Planck IPP) to homogeneous and heterogeneous architectures and the development of a hybrid version of Alya (BSC) to take advantage of all the levels of parallelism that a multicore architecture offers. ELSA is a software dedicated to the numerical simulation of single-species laminar or turbulent compressible flows. EUTERPE is a code dedicated to simulating fusion plasma instabilities. Alya is a mechanics code to solve engineering coupled problems. Currently his research is specialized in scientific applications from the fusion field, where he is participating in EUROfusion projects and he is also a member of the High-Level Support Team (HLST), whose main mission is to provide support to scientists from all Research Units of the EUROfusion consortium for the development and optimization of codes to be used on supercomputers.